Journalist, writer, organiser, humanitarian worker. She was awarded the Medal of Merit by President Václav Havel in 2000, the Ferdinand Peroutka Award in 1997 and the Křepelek Award in 1999. Her books have been published in English, French, Swedish, Polish and Dutch. Petra Procházková is first and foremost a journalist, and therefore, her novel is more of a testimony of a remarkable country and its people at a remarkable time – and a gripping and instructive testimony at that. After secondary school she studied journalism at Charles University’s Faculty of Social Sciences in Prague. At the start of 1989 she was sacked from the magazine Květy, where she had worked since university, for taking part in the Palach Week, which was an important series of events against the totalitarian communist regime. After the revolution in 1989 she joined the newspaper Lidové noviny and in 1992 she went to Russia as a reporter where she soon became a war reporter. She reported on conflicts in Chechnya, Ossetia, Abkhazia, Georgia and in Nagorno-Karabakh. She experienced fighting in Afghanistan and the bombing of Grozny during the war in Chechnya. Together with her colleague Jaromír Štětina she set up the news agency Epicentrum (1994) and the Berkat civic association with Jana Hradilková (2001), which helped those in need, particularly in Chechnya and in Afghanistan. In 2001 she was heavily involved in humanitarian aid in Grozny, which led to her expulsion by Russia for being an “undesirable”. Her prose writing borders between reportage and documentary. Her first work was a collection written with Jaromír Štětina entitled Utřete tělesné šťávy (Wipe Off the Body Fluids, G plus G, 2001), where both authors used short-story-style prose to describe the lives of people caught up in wars which drive them to the edge of their humanity. 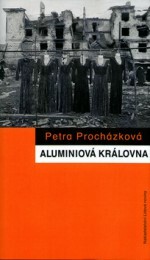 This was followed by the book Aluminiová královna (The Aluminium Queen, Nakladatelství Lidové noviny, 2002). This is a collection of interviews with Chechen and Russian women who have been affected in some way by the war in the region. Procházková focuses on the lives of ordinary people. She charts the difficult and painful lives of mothers, wives and daughters who have lost their loved ones due to the war – and for those who still had their loved ones, there was the daily struggle to find food in a city turned upside down. “And so when the exhausted Aluminium Queen Dugujevová says that she can imagine one evening simply deciding not to go the three kilometres to the pump for water and to leave her thirsty children crying, it is clear that nothing more powerful can be said at that moment,” wrote Petra Hůlová in a review of the book for the magazine Týden. 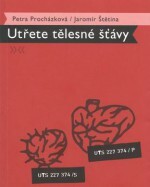 In 2003, again with Jaromír Štětina, she published Rošangol (Roshangol, G plus G, 2003), two short stories from present-day Afghanistan. Once again it is not fiction, but reportage inspired by real experiences from a war zone. Petra Procházková’s short story is named after Adzhamal, a disabled boy, and is a raw description of the desperation of a mother who can get humanitarian aid and thus save her eight children, only for one of them to be tortured. Procházková’s first large solo novel was again based on her wartime experiences. 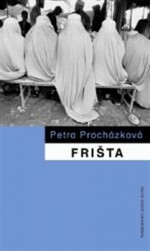 Frišta (Freshta, Nakladatelství Lidové noviny, 2003) is the story of Herra, half Russian and half Tajik, married in Afghanistan, who tries to combine eastern and western ways of life. Herra is the only person in the area who speaks English, and so after the arrival of aid workers in Kabul she starts to work for a medical team, and they also bring to the surgery her sister-in-law, Fresht. 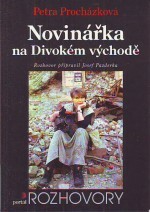 Back in 1998 the journalist Josef Pazderka interviewed Petra Procházková about her life in a book called Novinářka na divokém Východě (Journalist in the Wild East).